Patrick Gibbs was born in London in 1959. He says that his art career started promisingly when he won a pencil-case in a primary school painting competition. He later studied at The Ruskin School of Drawing and Magdalen College, Oxford where, despite the best efforts of the tutors to turn him into an Abstract Expressionist painter, he painted mostly portraits and figures. After university Patrick lived in Germany for a year, working on building sites and teaching English, before deciding that he wanted to be a painter. He bought an old van, filled it with art materials and spent the next few years driving around Europe teaching himself to paint landscapes. The highlight of Patrick's travels was a year spent in Tarquinia, a beautiful medieval village north of Rome. Here he devoted himself to painting almost everything he saw financing his time by drawing street portraits. Back in London, after a brief spell of teaching Art in schools, Patrick decided to paint full time. Since then he has become known for his carefully observed and emotive paintings. 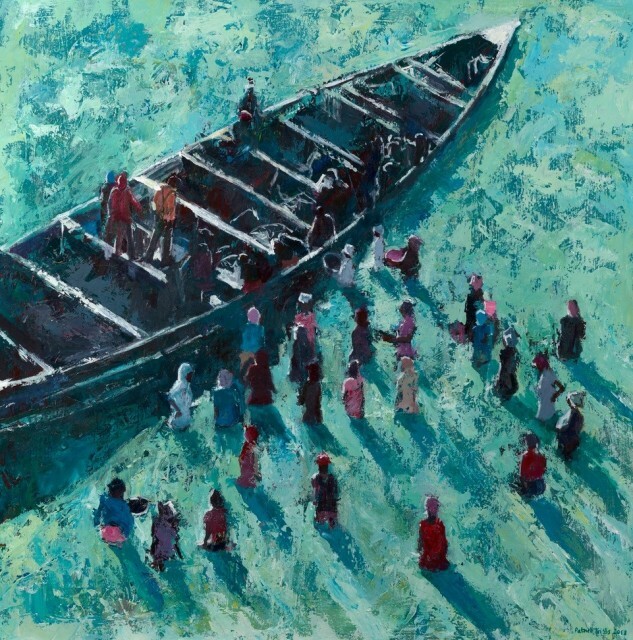 Inspiration for his paintings comes from his extensive travels around the world. He excels at painting everyday scenes in exotic places such as Cuba, Madagascar, Kerala or Zanzibar, but he is also an accomplished painter of portraits and landscapes. He paints whatever inspires him and the result is a collection of artwork of outstanding quality and variety. Patrick has a large following of loyal art collectors always vying for his work and he has exhibited in many of England’s leading art galleries as well as many galleries in America.